Representative photo. Image credit - aai.aero. Leader of the Opposition in the Assam Legislative Assembly Debabrata Saikia in a letter to Prime Minister Narendra Modi urged him to take the initiative of bettering air connectivity among the northeastern States and the Northeast with the rest of India. 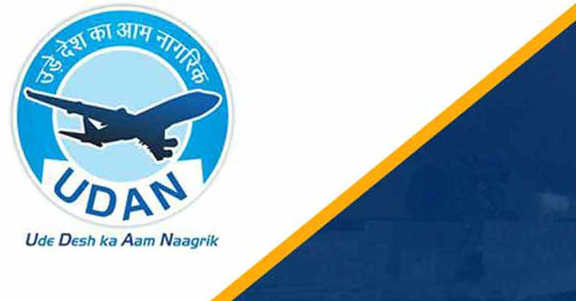 Reminding Modi of launching UDAN (Uday Desh Ka Aam Nagarik) in 2017, in which 12 new air routes were supposed to become operational in the Northeast, Saikia said the air connectivity in the region has still remained pathetic. The letter said only the Jorhat-Kolkata and Lilabari-Kolkata routes have remained operational and informed that Jet Airways would stop its Jorhat-Kolkata flight and Guwahati-Aizawl flights from February 10, which would make matters worse. The letter urged the PM to take up the matter and see whether Jet Airways could not be prevailed upon to continue both the flights as discontinuance would further hamper connectivity especially of the Guwahati-Aizawl flight which could take 15 hours with layovers at Kolkata or Delhi or both. The letter said these developments made a mockery of the slogan, ‘Hawai yatra in Hawaii Chappal’ coined at the time of launching UDAN. Saikia further urged that flights to and from Tezpur be resumed at the earliest. He further urged the PM to see whether the government could take the initiative to resume subsidy to Alliance Air as was done earlier by the DoNER Ministry so that flight operators could maintain connectivity in the region and with other places in the country.